Located on a prominent site adjacent to two of Shanghai’s principal connections to the Pudong - Shanghai International Airport, and centered within the Zhang Jiang Science and Technology Park, the new campus for the Chinese Academy of Sciences, will become an iconic symbol of the region’s exciting growth in the high-tech field while simultaneously creating an innovative, memorable and humane place for study and research. The new University is envisioned to become a vibrant hub of activity bringing students, faculty, administration, as well as, business and research leaders into joint entrepreneurial pursuits furthering the richness of the campus experience. A contemporary Crescent linking research, administration, teaching and library faces the Great Lawn on the campus’ south side forming an embracing and welcoming entry sequence. 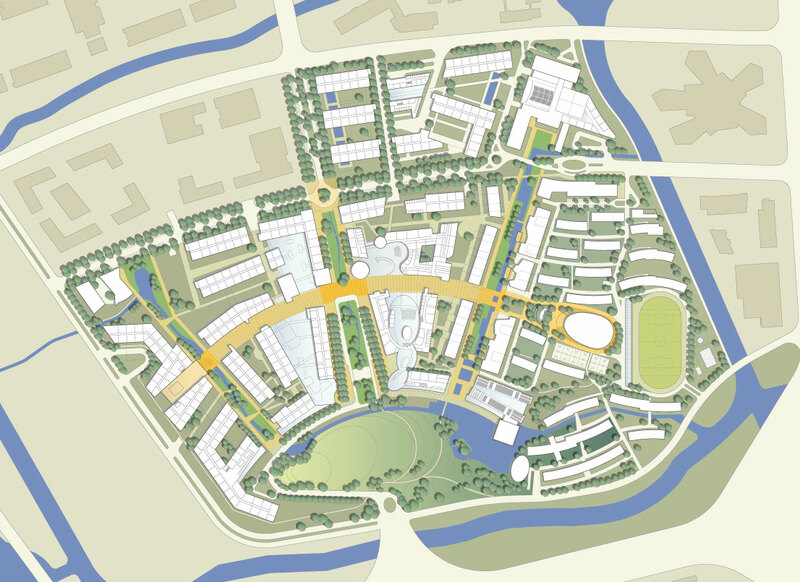 Extending northwards radially from the Lawn are three axis of differing landscaped characters – pastoral, formal academic and lively urban – each a linear “green” for the campus’ three primary neighborhoods. 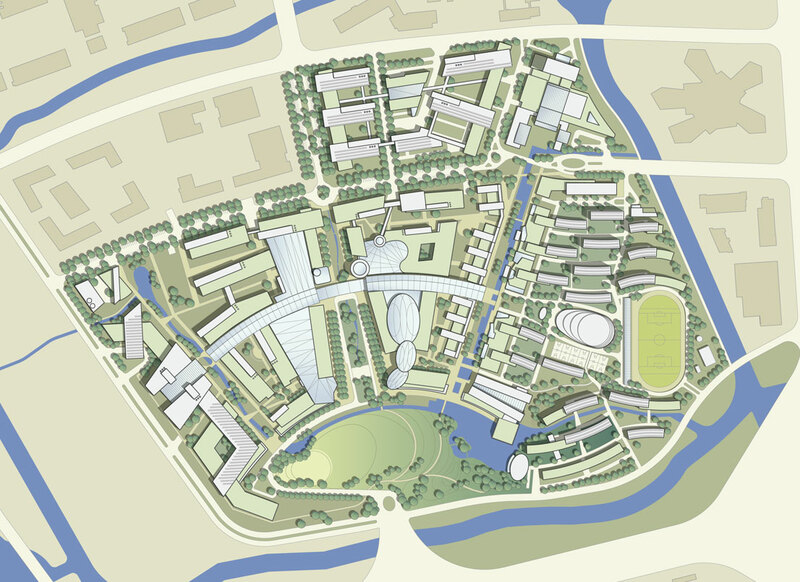 Intersecting the Greens and linking the neighborhoods is the Gallery, a curved, enclosed multi-use promenade that serves the Residential Village, four of the academic Colleges and the primary entrepreneurial and research facilities. Developed with an integrated below-grade service level and a wide variety of passive and active energy production and conservation strategies, the campus will strive toward being a leading example of sustainable resource stewardship.